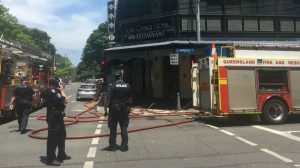 Fire Boar specialises in a full range of fire services from design, installation, commissioning, maintenance and testing of fire protection systems in accordance with the relevant Australian legislation and building codes. 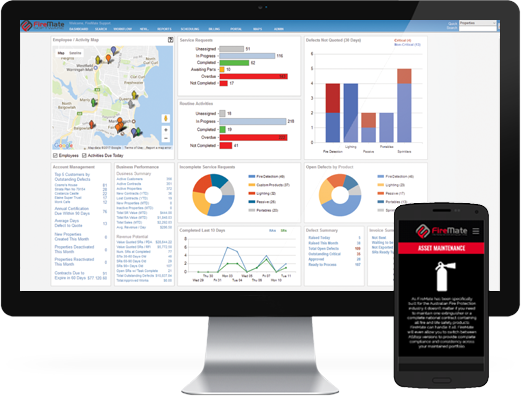 Fire Boar offers comprehensive solutions for all facets of fire protection including a large construction division. Established in 2008, Australian company utilises its vast experience, innovation and technology to deliver personal service and flexible solutions to its customers. 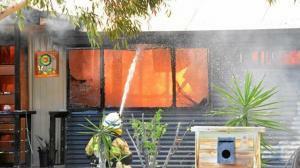 Fire Boar is passionate about Australian Standards and is the ideal industry partner. Training Boar is a division under the Fire Boar parent company which has been providing Fire Training for over ten years. Effective planning and emergency response training saves lives and we can help you reduce your risk of tragedy in the workplace. This total solution can provide you with the right advice, asset life cycle analysis plus associated maintenance records and to ensure you have peace of mind. Training Boar offers a wide range of specialist fire training options from our self paced online platform to face to face site specific practical training. 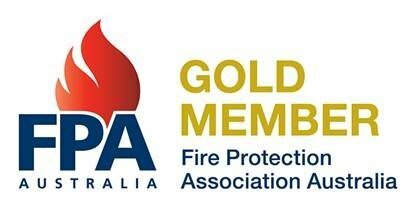 All of Training Boar’s fire safety and emergency training is designed to ensure your property is fully compliant with the relative Australian Standards. 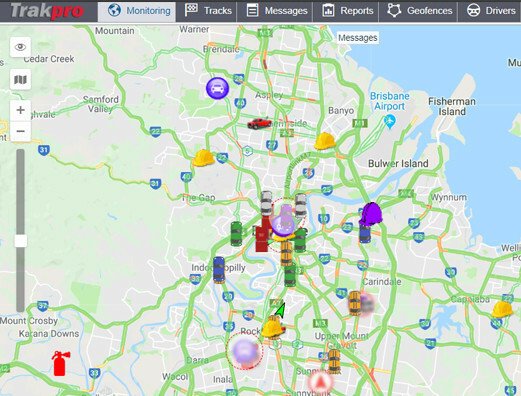 Fire Boars diverse range of capabilities has ensured a large and varied commercial customer base including hospitals, aged care, shopping centres, industrial manufacturing, petro chemical plants, mining, residential and commercial buildings. 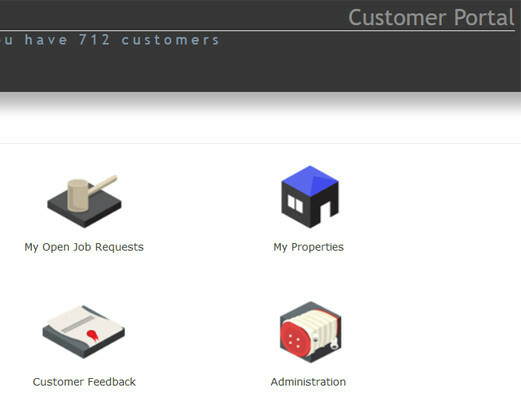 Our company strives to provide a personal service to our clients and our advice or recommendations are based on what is most suitable for our customers individual system requirements. In this tough economic climate Fire Boar will work with you closely and understands your need to maximize efficiencies and reduce costs but at all times ensuring your systems operate as they were originally intended. Fire Boar has a reputation for delivering quality and reliable service and building long term partnerships with our clients. Our objective is protecting people, property and assets. 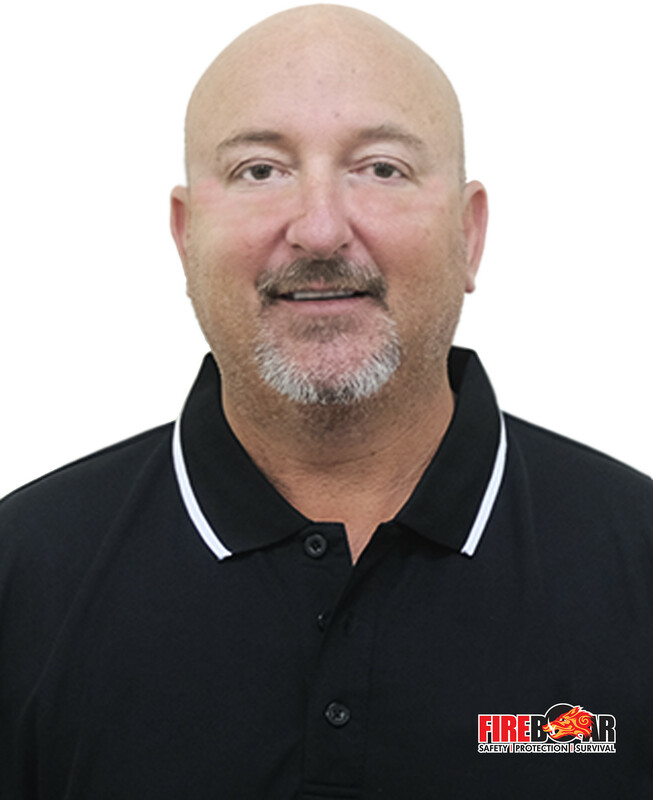 Nick has over 30 years of experience in the Fire Protection Industry. He is also the previous owner of “Reliable Fire and Safety” for 7 years. A previous member of the Fire Protection Industry Board Management & Licensing Committee for a number of years. During this period Nick wrote the exam papers for licensing of individuals in Fire Hydrant System Certification in QLD. Nick is QBCC licensed to certify hydrants, pumps and portable installations and has personally completed and certified hundreds of Hydrant installations of all sizes and types across sites such as major universities, city councils, shopping centres, hospitals, office buildings and apartment blocks. There is no problem in relation to fire protection water issues within a building that Nick cannot solve. Nick's number one concern is saving lives. This drives him to make sure each job is done right every time, and never compromise on installation quality and industry standards. Laurie offers more than 26 years of strategic forecasting, sales and marketing achievements and human resource planning. He has held positions including State and National Operations/Sales Manager roles and Director and Consultant roles for multinational companies. Responsible for businesses in Australia and New Zealand that have involved product development, retail sales, performance improvement, capital raising, liaising with supply chain partners, legal issues, finance, cash flow, leasing and franchising. Laurie specialises in identifying and arranging commercial and strategic alliance partners and sales while managing businesses using strong corporate governance doctrines at all levels. 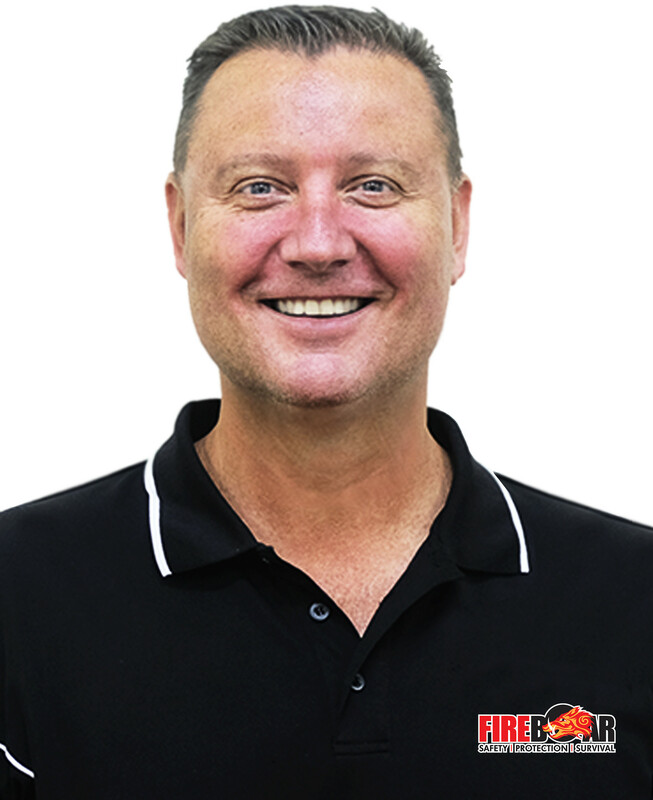 Laurie started Fire Boar in 2008 and his fire industry experience has also seen him become QBCC licensed in several disciplines, and his Emergency Procedures Supervisors License has seen him act as the FSA for high profile clients including Telstra. 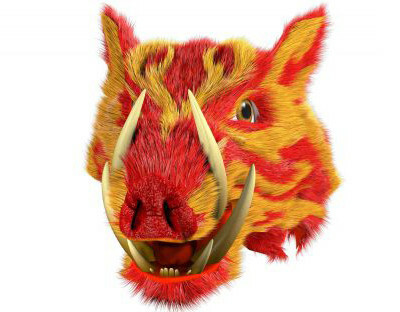 The Boar is sincere, honest and without pretence. He is confident in his own ability and is a straight dealer. 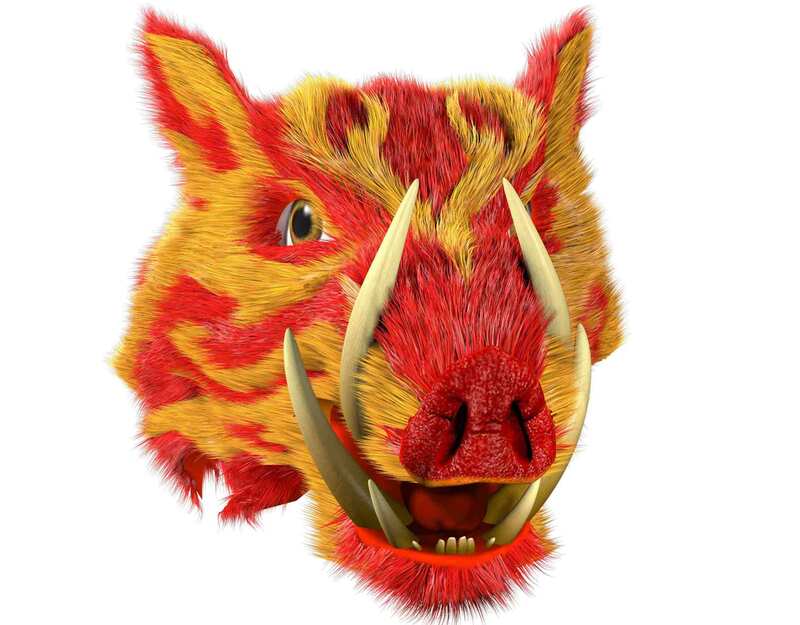 The Boar never does anything halfheartedly – it’s all or nothing! He is intelligent, practical and cares about the people around him…. He has no fear of the unknown, trusting in his innate ability to succeed at incredible odds. "Fire Boar recently completed a very large fire sprinkler installation in our existing Brisbane facility. Our site is quite large with multiple buildings and is very busy with trucks, forklifts and personnel so the installation itself was extremely complex. We assumed that the project would be quite disruptive to our business because all offices and all forklift areas required sprinkler heads installed, however we were pleasantly surprised to see Fire Boar install the system with very little disruption, and in a timely and very safe manner. The Fire boar crew worked extremely well with our site crew, were always courteous and professional, and in all honesty, were a pleasure to deal with. We have chosen Fire Boar to service our facility going forward and they continue to display professionalism and attention to detail in the servicing function also. The management at Fire Boar clearly understand the customer's needs and they obviously instil that professionalism into their staff. The knowledge and skill level of the designers and installers guided us towards a cost-effective and 100% compliant system, and even the fire services inspector complimented us on such a beautiful installation! Needlessly to say we easily passed all inspections. Well done Fire Boar…I recommend you to prospective clients without hesitation and I can assure those clients that it will be the best decision they will ever make when it comes to fire services at their facility. Regards, Dr Anthony Rayner, Plant Engineer, Ecolab (Brisbane)." "I have not received any complaints from my staff around this upgrade. I would like to thank you and your staff for an amazing job- the staff concerned were all extremely professional while in the unit and very accommodating working in and around our team and patients- so thank you for the great organisation of this project-it is a credit to you and your entire team. A pleasure to work with you all. Many thanks"
"I worked over 2 days that your team were working in Robina ICU and they are a credit to you. They were courteous, informative and a pleasure to have here in the unit (they just blended in). So great to see"
"I would like to thank you for all you have done to get this issue over the line. You always go above and beyond on my projects and I appreciate all that you do. Thanks also to Harry, mate you are by far the neatest and quickest sprinkler tradesmen I've encountered on Browns project other trades spoke of how professional Fireboar were. Great effort guys." "I would like to pass on some complimentary feedback that I just received from the NUM of Pal Care, Maureen. In her words, she said the team are special guys and great to have around. 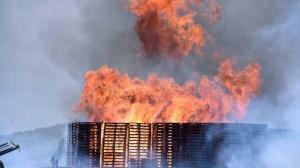 She said I should be very proud of them, which means that Fire Boar should be very proud of the guys they have onsite! She has been very impressed with the care and consideration shown by the guys, lead by Alex. Its great getting feedback like this and I love passing it on to your team. I have had nothing but complimentary feedback from the different departments within the hospital regarding the Fire Boar team, and I expect it will continue. Keep up the great work guys!!!" "As 2017 comes to a close, I would like to take a moment to thank you and team for the great work that you have completed during 2017. The past year posed many operational challenges across the sites which I manage in both commercial and industrial portfolios. Your team have never faltered and have always been there to tirelessly provide steadfast, reliable service. During 2017 I have had the pleasure to develop a working relationship you and the team , so a big shout out to all of you “thank you “"